High-Solid-Öl has a high solid content, is food-safe and easy to use. Thus it is suitable not only for high-quality solid wood furniture, but also for work tops, wood floors, stairs and toys. On kitchen worktop made of natural stone it reduces the tendency to soil. Applied once or twice, this single-component ECO product offers good resistances against water and chemicals. It penetrates deeply into the substrate and emphasises the natural grain of the wood. It has been evaluated by several test institutes: among other features, HSO-118 [eco] has been attested slip-resistance properties. It also has particularly low emissions and no negative influence on “living health”. 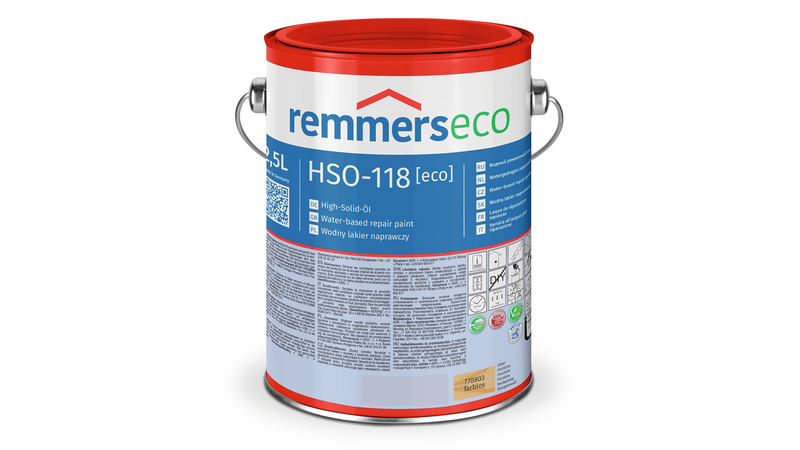 HSO-118 [eco] contains no raw materials of animal origin and can thus be used on kitchen furniture meant to comply with vegan principles.